For this week’s mini podcast Fred tackles the Sega franchise Shinobi, and more specifically the Joe Musashi games from the earliest years of the franchise. 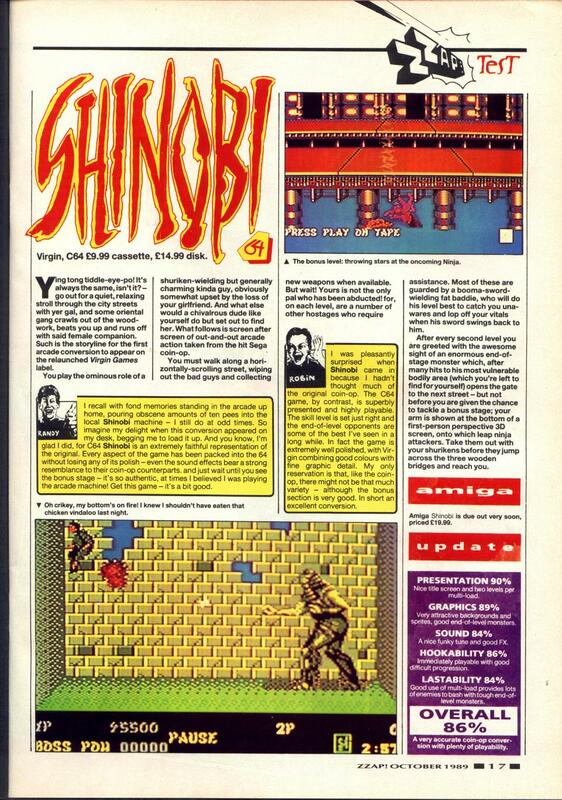 I don’t understand how you thought the C64 version on Shinobi was so bad, as it reviewed really well on original release and we all loved playing it back in the day. The sequel, Shadow Dancer, was also a great conversion too, complete with full space shuttle end sequence.